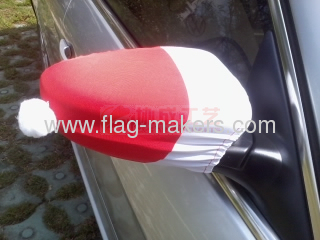 ar Mirror Flag also called Car Mirror Cover, Car Mirror Sock, Car Mirror Sleeves and Car Mirror Decoration. Medium Size: 22cm*26cm, suit for sedon.such as Buick lacrosse,Lucerne,Regal. Ridgeline. Jeep Pariot. LandRover LR4, Range Rover. Customer can specify the size and material, we can make some art work for you on request basic! All quotes are based on the receipt of camera-ready artwork or electronicartwork. Printing plate or film may be charged while special flag design or images with very small quantities. Artwork formats AI, EPS & CDR. GIF, JPG,TIF, BMP, DOC and PDF or your available format will be acceptable.